Mauro Camoranesi remains something of an enigma. Shielded away from the appreciation he deserves, almost like a frustrated winger trying to obtain the ball from the protective possession of a determined full-back, who is attempting to usher the slow-moving ball out of play for a goal kick near the corner flag. Camoranesi was the type of player who would have been revered by Premier League watchers. Hard working, loyal, aggressive, physical, determined, skilful, unselfish, strong with both feet, adaptable and decisive; he had all the attributes to attract widespread adoration. Instead, he slips under the radar when it comes to discussions about the great and good of calcio. Born in October 1976 in Tandil, one of the four municipal cities of Buenos Aires Province, and located to the south-east of the area, Camoranesi’s route to World Cup glory in an azure shirt for Italy was perhaps not one he had ever truly envisaged for himself, even as late as his mid-20s. Camoranesi, of Italian descent via his great-grandfather Luigi, who had emigrated to Argentina in 1873, had an unyielding knack of evading the footballing spotlight in his formative years. Growing up, he was consumed by his love of all things River Plate. It was, however, in Mar del Plata with Club Atlético Aldovisi that he made his first tentative steps into the professional game, in the second tier of the domestic pyramid. Having slipped the net of not just the big clubs, but also the AFA, Camoranesi bypassed the traditional domestic Argentinian power bases and the junior levels of the national team. At the age of 19, he accepted an offer from the Mexican outfit Santos Laguna. Spending a useful, if frustrating, year in Liga MX, he was restricted to a cameo role in a side which finished way off the pace in a bid to reach the end of season play0ffs. From there, Camoranesi headed to Montevideo for what was, by and large, another watching-brief, with Wanderers, for whom he played just six games. After the frustrations and valuable lessons of Mexico and Uruguay, he jumped at the opportunity of a return to his homeland, in time for the 1997/98 campaign. Newly relegated Banfield was the perfect club for Camoranesi. That little bit more worldly-wise, he took the Primera B Nacional by storm. Supplying a steady stream of ammunition to Alejandro Glaría, who topped the scoring charts, Camoranesi himself chipped in with 16 goals as Banfield comfortably topped the Metropolitana Zone to advance onward to the promotion playoffs, where they were defeated narrowly in the semi-finals by Belgrano. With his stock rising, Camoranesi’s performances during Banfield’s near-miss on promotion brought him admirers once again. Hopes of his adored River Plate or one of their big rivals coming in for him soon drifted, however, and although he did make a step up in level during the close season, it came with a return to Mexico, rather than finally reaching the promised land of the Argentine Primera División. Cruz Azul, with their most recent championship success having come just 12 months earlier, were the team that made their move for Camoranesi’s services. In a productive two years, linking well with Juan Francisco Palencia, they came close to glory by reaching the Invierno playoff final, where they were narrowly defeated by Pachuca, who lifted their very first championship. Camoranesi blossomed in Liga MX, yet out of sight and out of mind, he still didn’t receive the call to represent the nation of his birth. Now aged 23, and beyond the junior age groups, his cause wasn’t helped by Marcelo Bielsa’s insistence upon naming a strong squad for the 1999 Copa América in Paraguay. Cruz Azul’s near-miss on the 1999 Invierno – the first half of a season encompassed by two championships – was followed by an inconsistent campaign after the turn of the year in the Verano, the second section of the Mexican championship double-header. Camoranesi’s form held, but collectively Cruz Azul struggled to recover from the loss of the Invierno in such dramatic and heartbreaking circumstances, when they had succumbed to an extra-time golden goal loss on home soil, having felt they’d done the hard work in gaining a 2-2 away draw in Pachuca during the first leg. Remaining off the radar of the big clubs in Argentina, Camoranesi had begun to draw attention from Europe, however. In the summer of 2000, Cruz Azul cashed in on their steadily rising star, when Hellas Verona swooped. At the Bentegodi, Camoranesi was joined in an eager and youthful attack by the emerging Alberto Gilardino, Adrian Mutu, and on-loan from Parma, Emiliano Bonazzoli. Despite what looks in retrospect a talented squad, there was a degree of too much, too soon, as Verona struggled to break away from an increasingly intriguing relegation battle. Seemingly taking one step forward, one to the side and one backwards, it took a blanket finish of three successive victories, inclusive of a stunning 5-4 win at home to Bologna, for Verona to put themselves into a two-legged relegation playoff with Reggina. In a tight battle for survival, just two points separated 12th and 17th positions. In what was still an 18-team Serie A, Napoli were the big casualty. Verona edged the first leg of the relegation playoff 1-0 at the Bentegodi. Three days later, in Calabria, Verona stood upon the precipice of Serie B, until Michele Cossato struck to secure an away goal victory, and their Serie A status. It had been a satisfactory debut season in Italy for Camoranesi. His drive, skill and belligerence had gone a long way in assisting Verona in their successful bid to avoid relegation. He had found the net against Vicenza, Bari, Lazio and Roma. 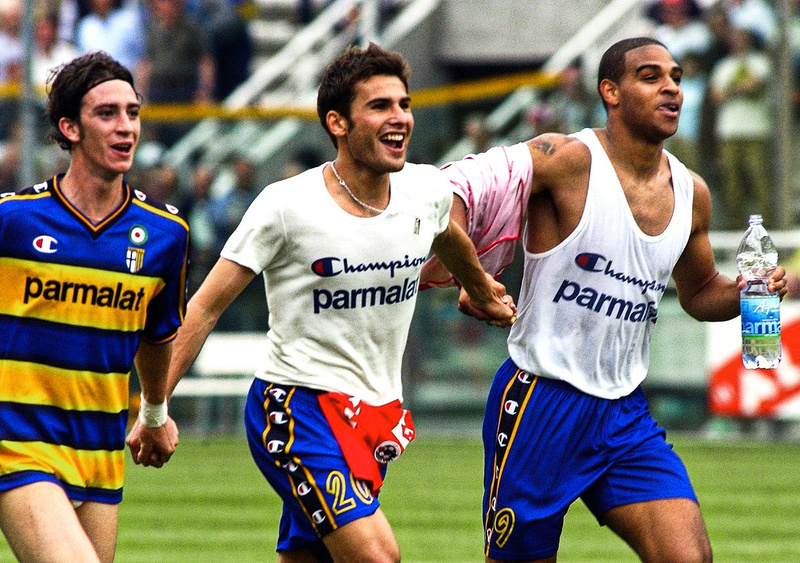 2001/02 proved to be the polar opposite for Verona, however, as having won their last three games of the previous season to save themselves, they conspired to lose their last three games of the new campaign and suffered the bitter taste of relegation. Camoranesi’s personal fortunes continued to rise, despite the collective failure of his team. An imperious performance against Juventus at the Bentegodi earlier in the season, on a day when the Old Lady was lucky to escape with a point gained, left a big impression on the champions to be. In the summer of 2002, Camoranesi completed a decade-long transformation into the overnight success many misread him to be. Overcoming the lack of recognition in his homeland, and fighting for every foothold on his way up, the move to Turin was deserved and hard-earned. There would still be unforeseen difficulties to come, yet his first season at Juventus was almost word-perfect. The Scudetto title was won comfortably, and Camoranesi helped guide his new employers all the way to the Champions League final at Old Trafford against their great rivals AC Milan. Having been fortunate to navigate their way beyond the second-round group stages, Juventus kicked-on, showing great resilience in defeating both Barcelona and Real Madrid, in the quarter-final and semi-final respectively. In the final, Camoranesi was withdrawn at half-time, replaced by Antonio Conte. On a chessboard evening, when the two sides cancelled each other out, Camoranesi’s determination might well have made all the difference. Instead, the game drifted to a penalty shoot-out which eventually went the way of Milan. Three months prior to the Champions League final, a new opportunity presented itself to Camoranesi. Having continued to be shunned by Argentina, Giovanni Trapattoni offered him a path into international football with Italy instead. 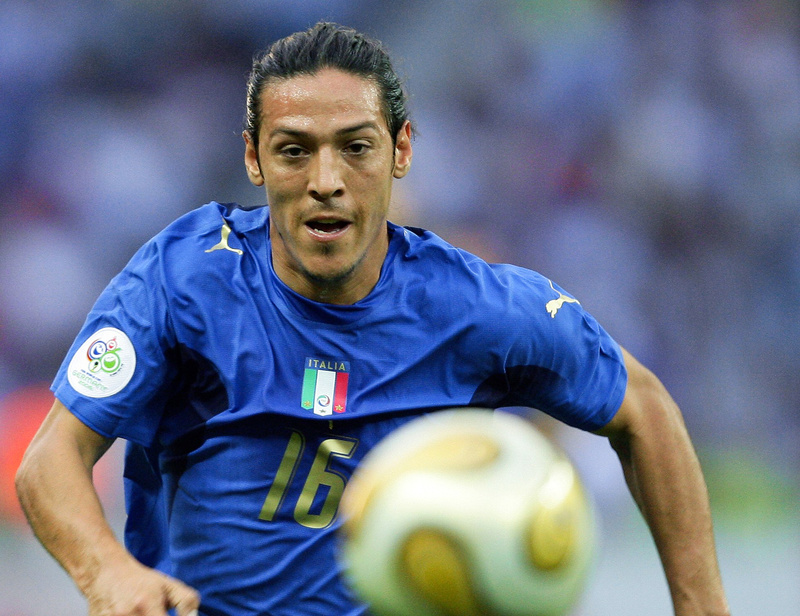 Obtaining dual nationality, Camoranesi made his first appearance for the Azzurri in February 2003, in a friendly against Portugal. Argentina, having belatedly shown an interest, were reluctantly turned down. Italy and Trapattoni had shown great faith in Camoranesi, and despite his passion for his homeland, he was compelled to reciprocate the faith bestowed upon him by his ancestral nation instead. The fiercely proud Camoranesi, with his unquestionable Argentine soul, was also highly attuned to the Italian blood coursing through his veins. He soon became an integral part of Trapattoni’s plans and was selected for the Italy squad for Euro 2004, as was his former Verona teammate Massimo Oddo. In the starting line-up for their opening game against Denmark, Camoranesi and Italy meandered to a goalless draw, in what was the typical opening Italian gambit to a major tournament. Withdrawn from the Denmark game mid-way through the second half, Camoranesi had to make do with a cameo role as a substitute in their next game, against Sweden. Disastrously, having entered the fray with Italy leading 1-0, the Azzurri contrived to allow Sweden to level the scores, as the game eventually finished 1-1. It left Italy staring elimination square in the face, needing to beat Bulgaria and hoping that Denmark and Sweden wouldn’t play out a mutually beneficial draw. Unfortunately for Italy, both of those scenarios did indeed unfold. Despite the suspicious scoreline between Denmark and Sweden, no aspersions could be levelled at the competitiveness of the Scandinavian derby, with Sweden’s equaliser coming in the 89th minute. Camoranesi could only sit and watch Italy’s frustrating exit from the bench. Trapattoni’s successor as coach of the national side was Camoranesi’s club coach, Marcello Lippi. Initially shown no favours by his former Juventus boss, he fought his way back into the team, once again relying on his ability to fight back from potential setbacks. Italy comfortably qualified for the 2006 World Cup in Germany. Camoranesi’s second season at Juventus, 2003/04, his last under Lippi, proved to be a collectively frustrating one. Swept aside by Milan for the Serie A title, they also fell at the last 16 of the Champions League to Deportivo. As Lippi departed, in came Fabio Capello – for six years a Juventus player during the 1970s – yet as a coach so inextricably linked to Milan, so ingrained within the Rossoneri success story of the early-to-mid 1990s – when Milan put Juventus firmly in their shadow – that the concept of Capello leading the Bianconeri seemed such an anomaly. Capello and Juventus proved to be a ruthless combination domestically, and Camoranesi thrived. Without the artistry of his great Milan sides, but blessed with a stubborn insistence that was pure Capello, Juventus bludgeoned their way to back-to-back Serie A titles in 2004/05 and 2005/06. Alongside the likes of Alessandro Del Piero, David Trézéguet, Zlatan Ibrahimović and Pavel Nedvĕd, Camoranesi was at the peak of his powers. On the pitch, they seemed unstoppable, yet dark clouds were gathering. Calciopoli brought Juventus down. Stripped of their 2004/05 and 2005/06 Serie A titles, Camoranesi’s peak years were effectively expunged from the record books. Having fought so hard to earn the spoils of footballing battle, they were now being taken away from him across a courtroom. It was an under-siege Italy squad that headed to Germany for the 2006 World Cup. Camoranesi appeared to be no more than a member of the support cast. On as a substitute in their opening game against Ghana, he played no part at all in the 1-1 draw against the USA. A change of formation brought Camoranesi into the starting line-up against the Czech Republic, and in a much-improved team performance, he helped ease Italian nerves. A 2-0 victory put the Azzurri through as group winners, and sent the Czech Republic home. When Lippi reverted to a two-man forward line for the second-round encounter against Australia, with Camoranesi dropping out of the side, Italy once again laboured, just as they had done against the USA. A Francesco Totti penalty five minutes into injury time saved Lippi’s blushes and gave him food for thought ahead of the quarter-finals. Camoranesi returned to the side in Hamburg against Ukraine. A 3-0 victory and a much more carefree progression meant that Lippi finally felt he had found the right combination. Camoranesi would hold his place in the side for the semi-final. Against a Germany side who were riding on the crest of a wave of a nationwide feel-good factor, Italy really should have been swept aside. Camoranesi gave his all in an absorbing game. It might never have had a chance of hitting the heights of the Mexico 70 semi-final, but in a game of intense suspense, it was Fabio Grosso who surprisingly broke the deadlock, with just one minute of extra-time remaining. Camoranesi now stood at the very pinnacle of the game as he headed to Berlin for the World Cup final. From his early struggles in the Argentine lower leagues, in Mexico and in Uruguay, here he was in the world’s biggest game, not in the colours of Argentina, but instead of Italy. Just how it had come to this remains one of football’s great questions. Once again, extra-time was required, and again, Camoranesi gave his all. Zidane from the penalty spot, Marco Materazzi with the equaliser; given what came to pass between the two much later in the game, it is easy to forget that they were the goalscorers that evening. Words spoken; a headbutt to the chest; a sending off and a penalty shoot-out. Italy and Camoranesi were World Cup winners. A small corner of Buenos Aires erupted in delight. The celebrations were long and loud. Just five days later, the rulings of the Calciopoli scandal finally emerged. Juventus would be facing a double demotion. At least initially, Serie C beckoned. Not alone, Juventus were joined in the dock by Milan, Fiorentina, Lazio and Reggina. A sliding scale of sanctions were recommended, inclusive of relegations to Serie B for Fiorentina and Lazio, plus a points deductions for Milan. Thirteen players from the 23 Lippi had had at his disposal were employed by the sanctioned clubs in question. Upon appeal, the punishments were reduced. Juventus would still be playing their football in Serie B in 2006/07, however, with an added points deduction. A mass exodus of talent took place, led by Italy’s World Cup winning captain, Fabio Cannavaro. Also departing the club were names such as Lilian Thuram, Zlatan Ibrahimović, Emerson, Gianluca Zambrotta and Patrick Vieira. Others showed a commendable spirit to stay, when they were fully expected to seek new options. Gianluigi Buffon, Alessandro Del Piero, Alessandro Birindelli, Giorgio Chiellini, Gianluca Pessotto, Pavel Nedvĕd, David Trézéguet and Camoranesi himself all took on the challenge of dragging Juventus back to Serie A.
Overcoming what was an eventual nine-point deduction, Juventus were promoted as champions, ahead of two other fallen giants in the shape of Napoli and Genoa. When Juventus faced Verona in December, Camoranesi scored the only goal of the game, against his former club. For those who stayed, it was an admirable decision to make, yet they essentially dropped out of their careers for a year in doing so. Initially, Camoranesi’s valour at Juventus was repaid with him losing his place in the national side under the new coach Roberto Donadoni. A sluggish start to qualifying for Euro 2008 saw him return before the year was out, however, helping put the world champions back on track. Juventus’ return to Serie A was marked with a third-place finish, yet they would struggle to come to terms with the new order. Inter Milan’s stranglehold on the Italian game took a long time to navigate, something that would only happen beyond Camoranesi’s time in Turin. Camoranesi was named in Donadoni’s squad for Euro 2008 and he started the first two group games – a jarring defeat to the Netherlands and a damaging draw with Romania. Left out of the starting line-up, he made substitute appearances in the crucial win over France, which saw them progress from the group stages, and also against Spain in the quarter-final, where they exited the tournament on penalties to the eventual champions. In and out of the Juventus side due to increasing injury problems between 2008 and 2010, Camoranesi’s drive and persistence, when fit, meant he remained an enduring option for the Azzurri, by now back under the control of Lippi. Named in the squad for the 2010 World Cup, in what was a distinctly ageing collection of players that Lippi pinned his hopes on being able to roll back the years one more time, Camoranesi climbed from the bench in Italy’s opening game against Paraguay, helping claw back a draw from the jaws of defeat. Camoranesi also appeared for the entirety of the second half of a numbing 1-1 draw with New Zealand. 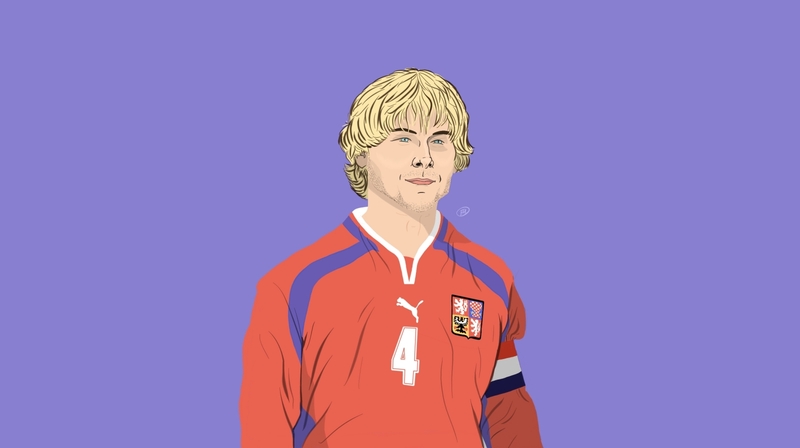 When Italy headed to Ellis Park for the make or break encounter with Slovakia, he would play no part at all, as Lippi’s 2006 legacy unravelled during a 3-2 defeat that sent Italy home before the knockout stages had begun. In that summer of 2010, Camoranesi’s time with Juventus also came to an end. With firm interest from Birmingham City, he instead chose a move to the Bundesliga ahead of the Premier League, signing for VfB Stuttgart. His time in Germany was cut short, however. Admitting that he didn’t suit the sporting ethos at the club, the two parties agreed to go their separate ways in January 2011, opening the door for Camoranesi to finally be able to play football at the highest level in Argentina. Spells with Lanús and Racing Club brought the curtain down on a spectacular career, which for large swathes was held back, and in parts, even erased. Undervalued in his home nation, Camoranesi gave the best years of his career to Juventus, where, at the peak of his powers, some of his finest achievements were taken away from him due to the Calciopoli scandal. Camoranesi spent his last great years returning Juventus to Serie A, and then trying to put them back on top of the Italian game, without really succeeding, at a time when Inter Milan were simply too strong. That he ended his eight years in Turin with just one major honour to his name does him no justice. To walk away from Juventus in 2006 was the easy thing to do, but instead Camoranesi chose to do the difficult thing. He sacrificed his own personal needs in the name of rehabilitating Juventus. A selfless gesture of the highest order.